Before you sign up to anything consider ALL your options, the big schools make it sound like they are the best people to teach you and would have you believe there is a job just waiting for you to earn £600 or more per week! Well they would as they are just interested in you parting with you cash but in reality it is not like this! This problem was highlighted on the Trevor MacDonald ITV Tonight news programme on 27th March 2009 entitled “How to blow your redundancy money”. 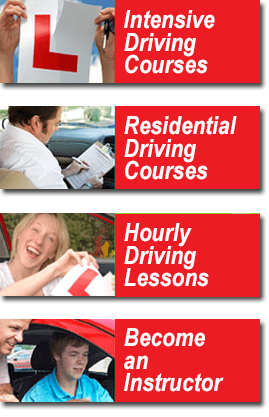 Although Red driving school was the only driving instructor training company featured on this programme there are many others who operate in a similar manner. We are proud to be different and offer our training in such a way that should work out much cheaper than with other companies and currently with a 100% pass rate our system clearly works well. Unlike other companies we offer 2 training courses, the first on how to become an instructor, and the second on how you run or improve your own business. We also offer advice and training on Check Test improvement. The details of these courses can be found by clicking on the links but should you have any questions then please email us.